As the agency celebrates our 100th Anniversary and envisions the next “Century of Hope,” I want to thank you for your service to and solidarity with poor and vulnerable people in our communities. Each year, we provide this Annual Report to you as a reminder of our agency-wide Mission, grounded in Catholic social teaching, to honor the dignity and sacredness of every individual and community we are called to serve. Our Centennial serves as an opportunity to celebrate our diversity, our many faith traditions and our shared mission to aid people of all beliefs. 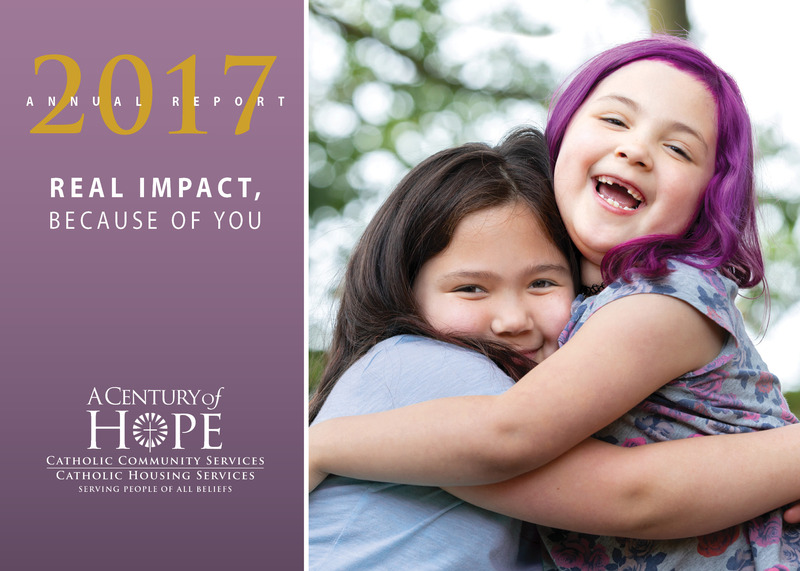 The 2017 Annual Report reflects our work as a community, and represents the thousands of men, women and children who found hope and healing while in our sacred care. Thanks to you, our programs served nearly 100,000 people throughout Western Washington in this last year alone. The work of Catholic Charities is vibrant and alive because you are with us on the journey. On behalf of the Board of Trustees and leadership of Catholic Community Services and Catholic Housing Services, and all those we serve, thank you!